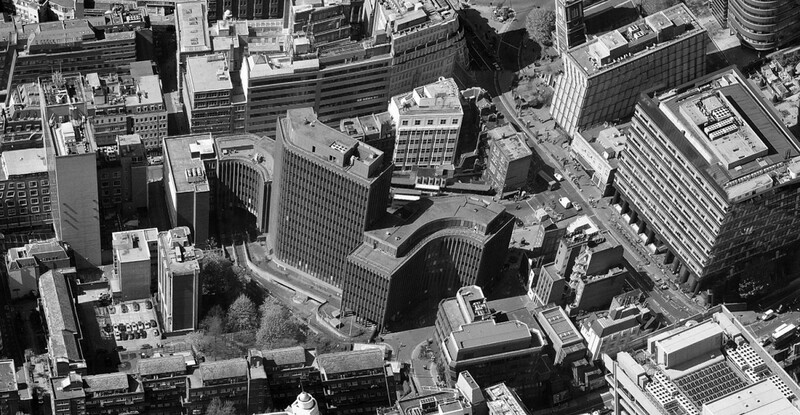 Spacehub are working alongside Acme on the design of a series of new public spaces in the City of London around a new residential tower, office building and re-furbished hotel. 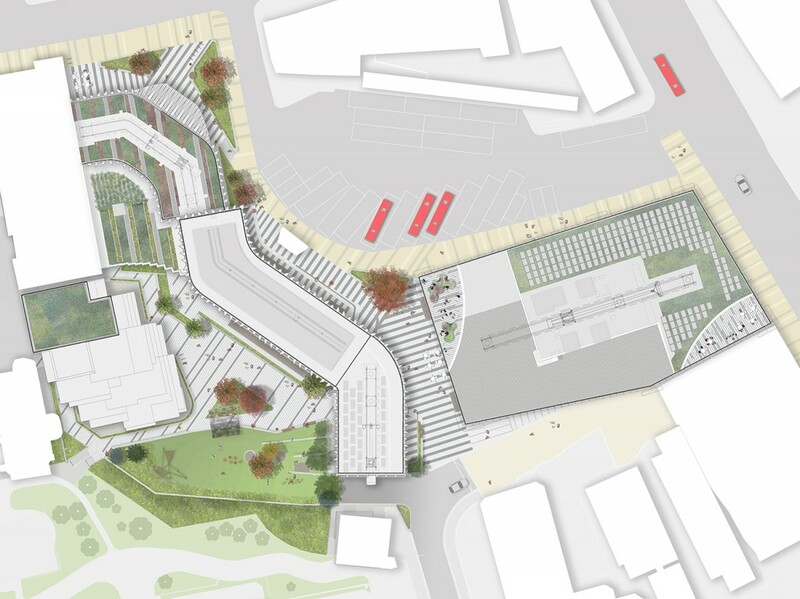 The proposed public realm will improve the pedestrian connectivity of the site and create new east-west and north-south routes through the site in accordance with the City’s campaign for improving pedestrian circulation. 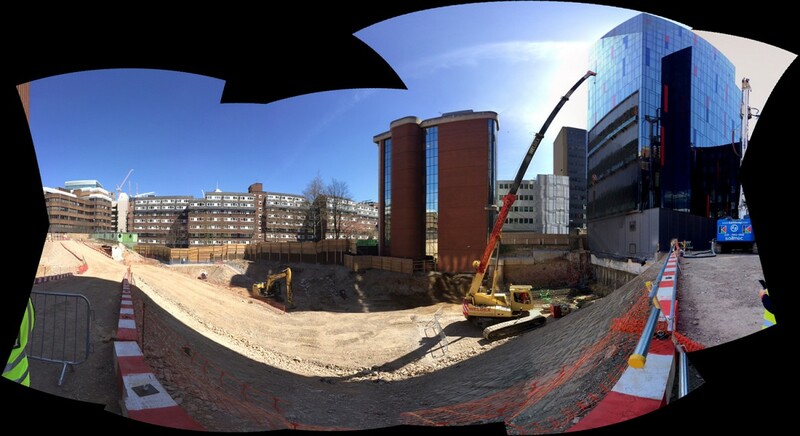 The design proposals around the buildings will create permeable and green public spaces with seating and gathering areas, including a lush garden which will provide south facing amenity and play for residents and visitors. Paving arrangements reflect the architectural form and give character to the public realm. Low walls and planters organise the open spaces on the site, providing green areas, resting and seating spaces, terraces around the buildings and a playful stepped landscape in the garden. 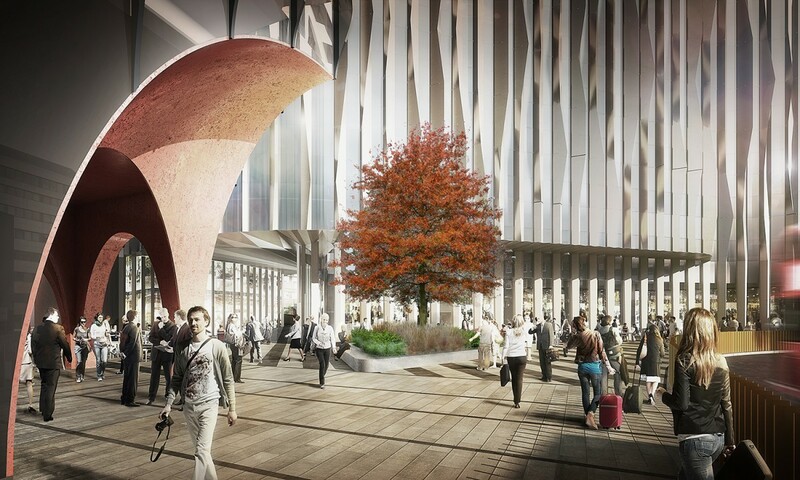 The planting will have a strong identity with distinctive tree forms and colours. Bands of evergreen shrubs following the paving patterns will create a permanent green structure through the site, with seasonal grasses, perennials, bulbs and specimen shrubs bringing colour and movement to the open spaces. Currently on site the Ridirich sculpture by Keith McCarter, which evokes the story of the Cnihtengild, guild of Cnihtas (knights) of the City, will be positioned in the square in front of the hotel entrance to give it a more central and important setting. 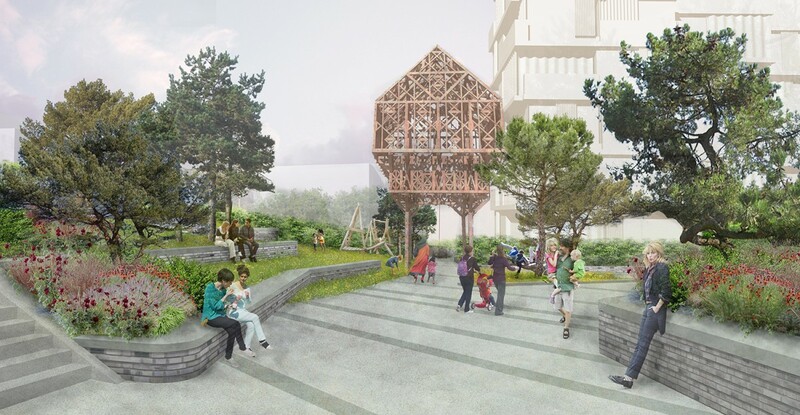 ‘Paleys upon Pilers’, Studio Weave’s iconic timber structure celebrating Aldgate resident Geoffrey Chaucer, is to be located on the north-south route through the garden encouraging people to pass under it.